That's right. There is ONE thing you can do differently that results in ALL those health benefits. I promise it is easy. It doesn't require fermenting, growing, or giving something up. It just requires you to buy your meat from a different source. All you have to do is replace your conventional meats with pastured meats. What is conventional meat? Meat that is typically grown indoors and fed only grain. This is typically what is sold in most grocery stores. Why is the nutritional value so much better on pasture raised animals? Because they are outside soaking up sun, which results in higher vitamin D levels. Their higher levels of vitamins and minerals also comes from their varied diet including grass, legumes, and bugs. Pasture raised animals are healthier and that results in a healthier food for you. Where can you find pasture raised meats? 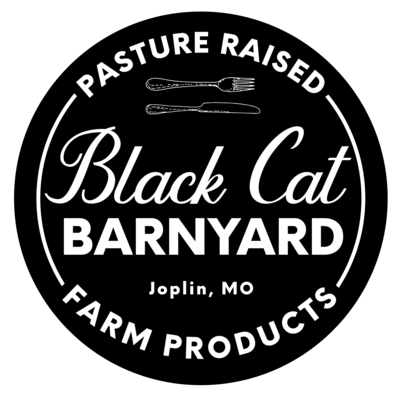 Black Cat Barnyard of course! Click the link to start shopping and order your healthy nutrient dense foods. All those increased vitamins, minerals and Omega 3's have been shown to be help protect your heart, decrease inflammation, and possibly lower your risk of cancer. All those benefits and all I have to do is buy pastured meats? Easy and done.